When it comes to special occasions, nothing says “celebration” quite like a bundle of flowers! In fact, nothing quite communicates that you’ve got a reason to celebrate in your personal style quite like flowers either. Flowers have always been a symbol of happiness, excitement, and growth or success, so it only makes sense that people wear them to celebrate achievements like graduation! 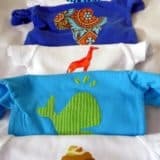 We know it’s not quite graduation, prom, and commencement season yet, but when we were in high school and university and facing the big day that we finally got our qualifications in our hands, you can be we started planning what we’d wear months in advance. 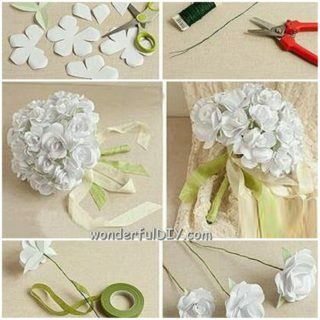 That’s why we’ve been helping friends and family members look at this like boutonniere designs now! 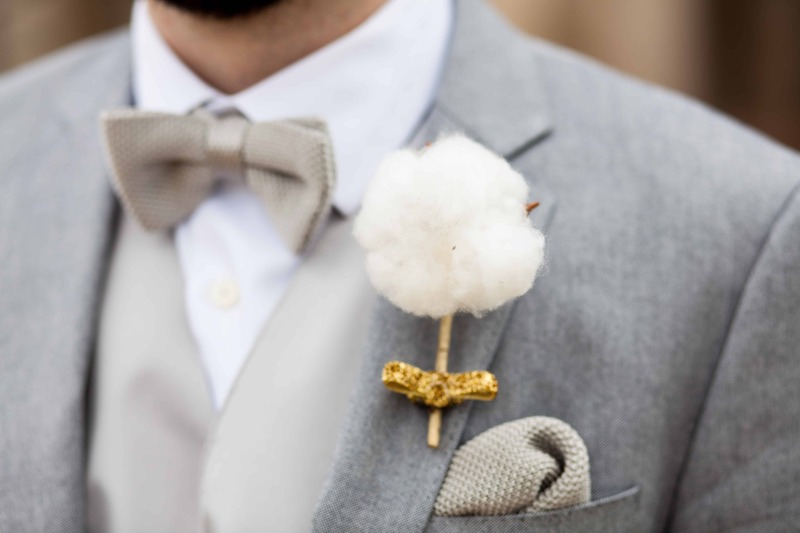 Whether you’re the one wearing the boutonniere or whether you’ll be giving it to your date, we have a feeling you’ll both look and feel your best if the stylish little bundle of flowers is a handmade creation rather than one you just picked up at the flower shop on the corner. 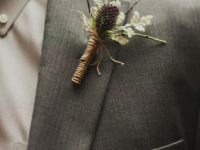 With that in mind, here are 15 of the loveliest, most creative looking DIY boutonniere designs and tutorials we could find! Are you and your date keeping things pretty simple for grad day but you’ve both chosen classy silver accents for things like your earrings or cufflinks? 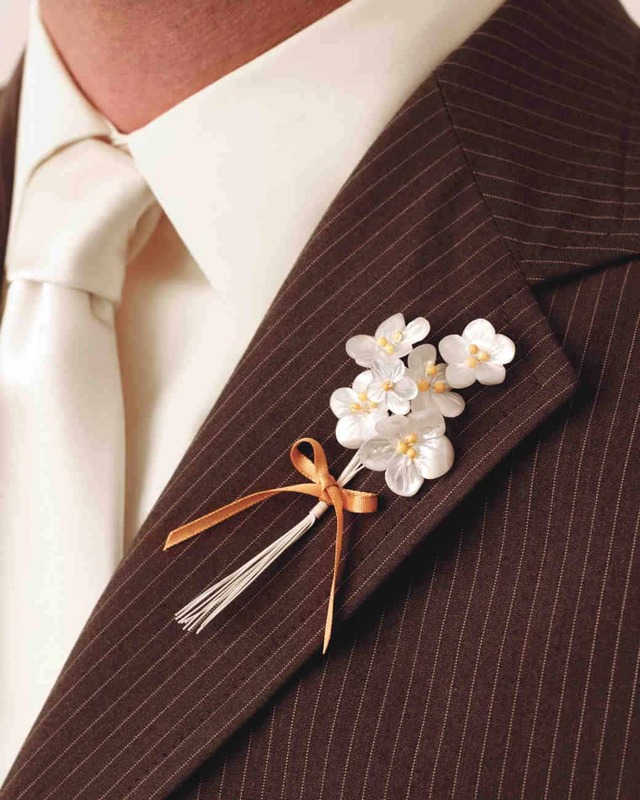 Then why not choose a boutonniere design that reflects both your simple style and your silver accents? 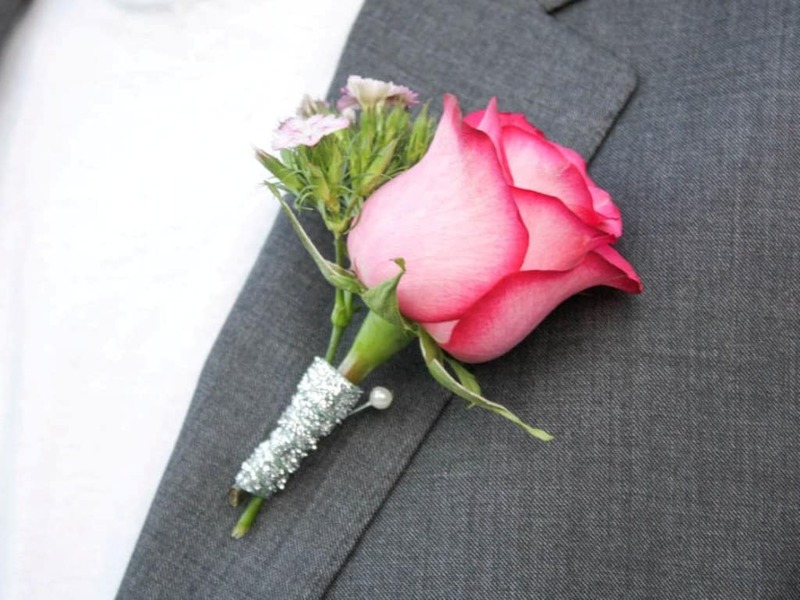 We love the way This Fairytale Life wrapped the stem of their rose with metallic silver thread to add just a dash of sparkle without overwhelming anything else in the look. Silver is also a plus because it’ll look good with any colour of rose and any flower you choose if roses aren’t really our thing! 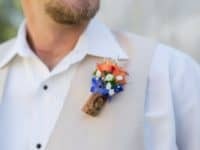 Perhaps you have concerns about the environmental impact about contributing to the floral industry so you’re leaning towards using silk flowers but, since you’re making the boutonniere yourself, you’d prefer to include something a little bit unique in the design along with the silk petals? Then we definitely think you should take a look at how Green Wedding Shoes paired their blossoms with dark little barriers! 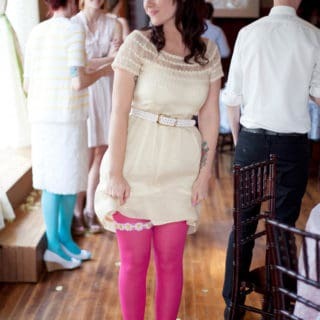 We think this idea would look lovely with a date who’s wearing a dark coloured dress in autumn tones. 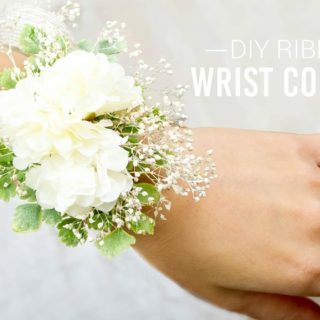 Perhaps the graduation, wedding, or other special occasion you’re attending is in the country and you’d rather embrace that sort of country chic aesthetic into your look rather than getting flashy with bright flowers that might look out of place? 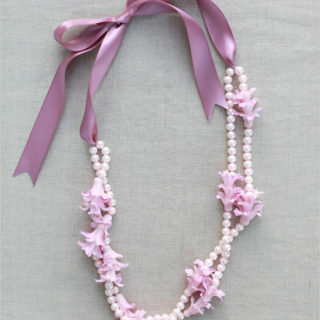 Then we think perhaps you’ll prefer this pastel blossom and wheat stalk design. We can’t get over how pretty Rustic Wedding Chic look’s design is, all wrapped in delicate lace. 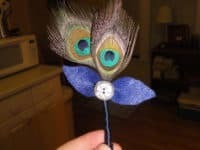 If you’re going to go to the trouble of making your own boutonniere, would you prefer to make it right from scratch, right down the the faux flowers you’re pinning on the jacket? In that case, perhaps you’d prefer this fantastic fabric leaf design from Polka Dot Bride! We like that you can get completely custom with the texture and colour of the fabric to match any style scheme. 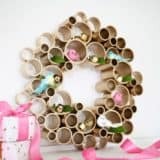 Perhaps the special occasion you’re preparing for is actually a vintage inspired wedding and you’re looking for a design that’s a little less flower heavy and a little more memorable and unique, since there will be so many photographs taken? 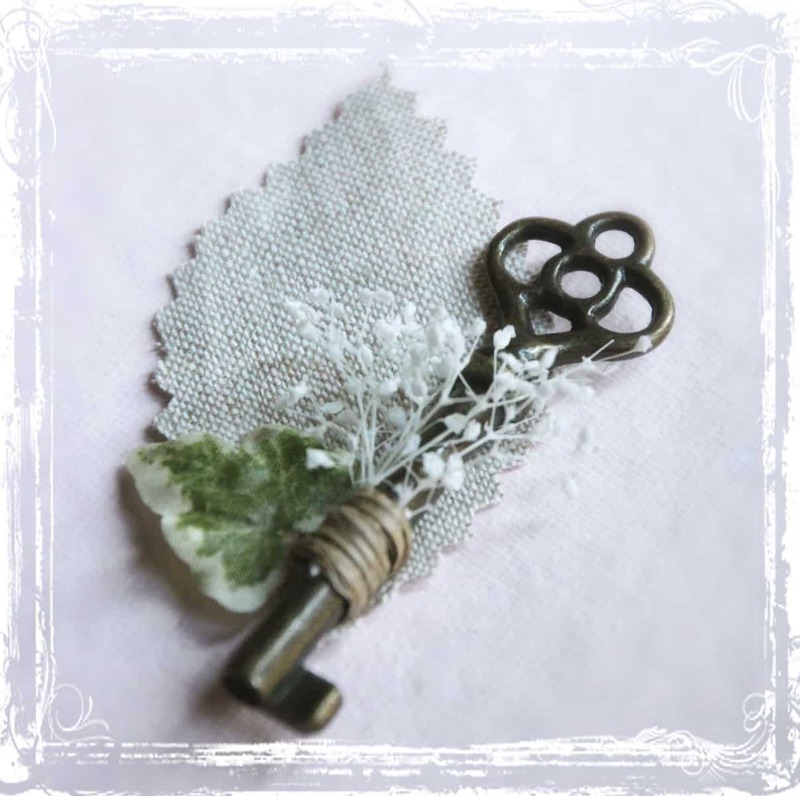 Then we’d suggest getting your hands on some old fashioned keys and transforming them into a beautifully twine wrapped leafy bundle, just like Something Borrowed Wedding did here! Is your event actually in the winter or fall, so you’re worried that big, flourishing blossoms and bright flowers will actually look kind of out of place, especially if your colour scheme reflects the season? In that case, maybe you’d rather a minimalist design that includes twigs, just like the trees outside! 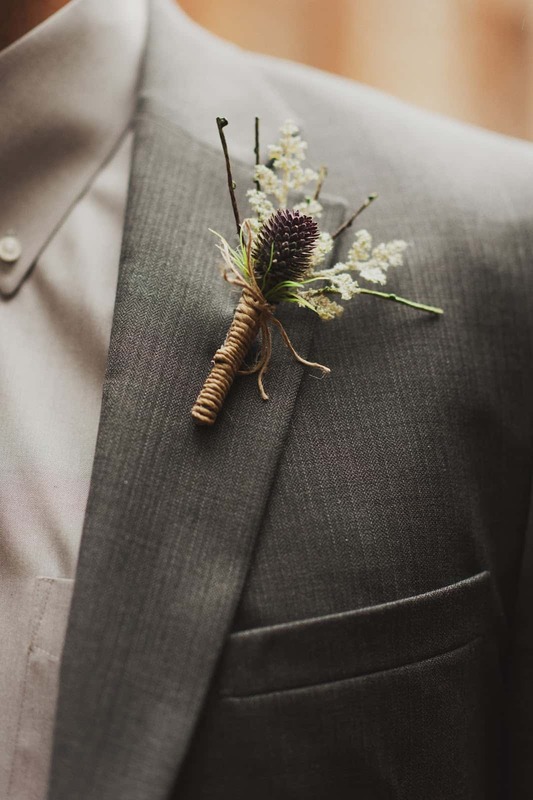 We love the way Sewing Barefoot paired a couple bare twigs with baby’s breath and a pine cone in this stylish boutonniere. Were you pretty intrigued by the silk flower design, but you’re actually still looking for something a little more understated than what we showed you before? 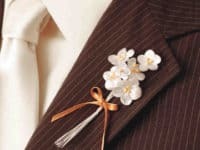 Then maybe you’d prefer this simple idea from Martha Stewart Weddings that couples just a few tiny little white flowers together, wrapped in a subtly coloured silk ribbon. 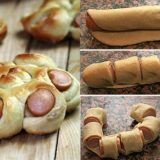 Sometimes there’s value in being understated! 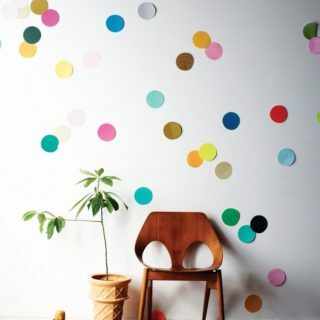 Perhaps your personal style is quite flashy and you’re looking for a design that’s the exact opposite of understated? 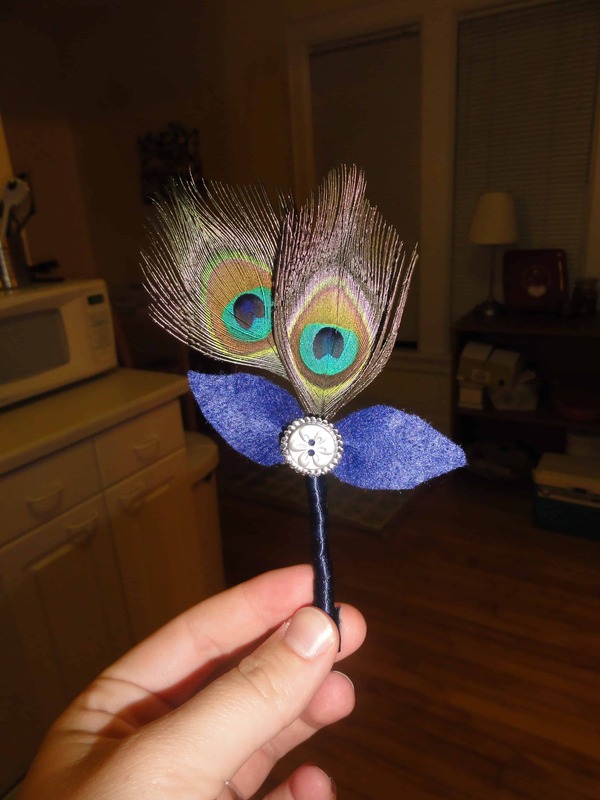 In that case, if the colour scheme of your event is anywhere in the purple, blue, or teal family, we have a feeling you’ll really appreciate this stunning peacock feather boutonniere design from Wedding Bee! We love the way they highlighted the colours in the feathers that match their scheme best by choosing that shade for their added felt leaves and silk ribbon wrapping. 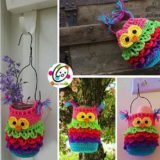 Now that we’ve mentioned working with felt, is felt crafting and all the possibilities that gives you all you can think about? 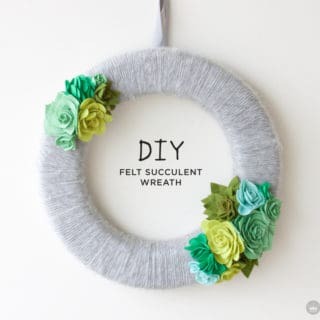 Well, we do know just how lovely simple felt flowers can look, especially if you twirl the layers to look like a budding rose. 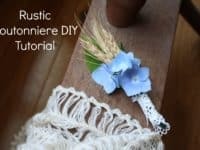 Check out how Essence Designs did just that, fastening the stems in place with rustic chic hemp string that gives the whole thing a stylishly worn effect. 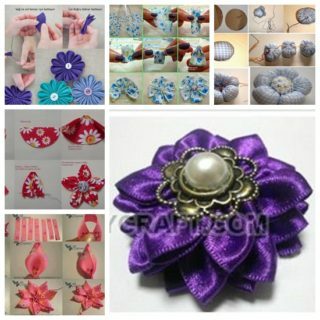 Are you perhaps graduating or getting married in a very hot place that flowers won’t suit the aesthetic of? Maybe you’re actually just looking for a design that’s unlikely to be seen on anyone else’s jacket. Then we absolutely think you should take a look at this impressively stylish looking succulent boutonniere outlined on Succulents and Sunshine! 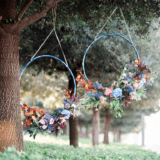 You certainly won’t have to worry about any petal wilting with this design. Were you pretty intrigued by the idea of making your own fabric flowers and felt leaves but the styles we showed you above weren’t quite right for you and you’re still feeling like you could use a bit of guidance in making the boutonniere rather than just experimenting on your own? 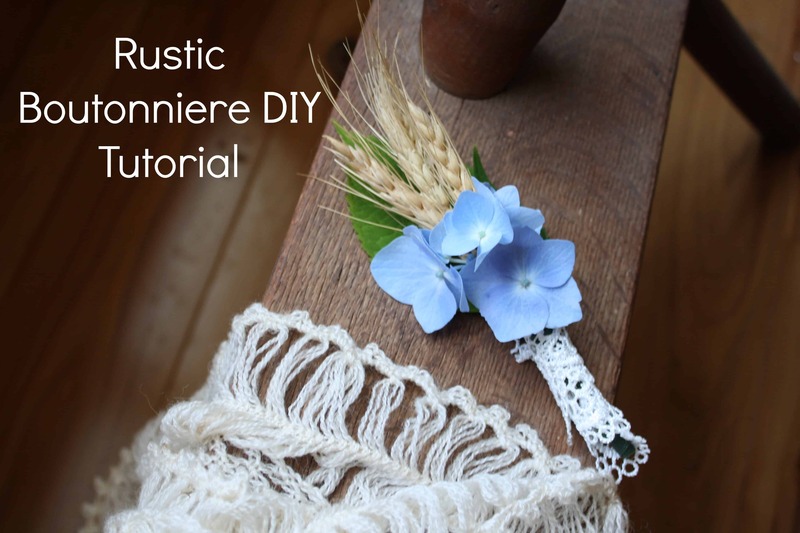 In that case, we’d suggest taking a look at how Fleur D’Elise wrapped and spiralled fabric into a pretty little rosette and accented that with fabric leaves and a couple subtly coloured fabric coloured buttons. 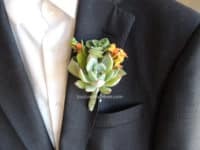 Are you still looking for a durable, more unique design but you’re not sure the heavily green colour scheme or a succulent boutonniere will quite suit your outfit? 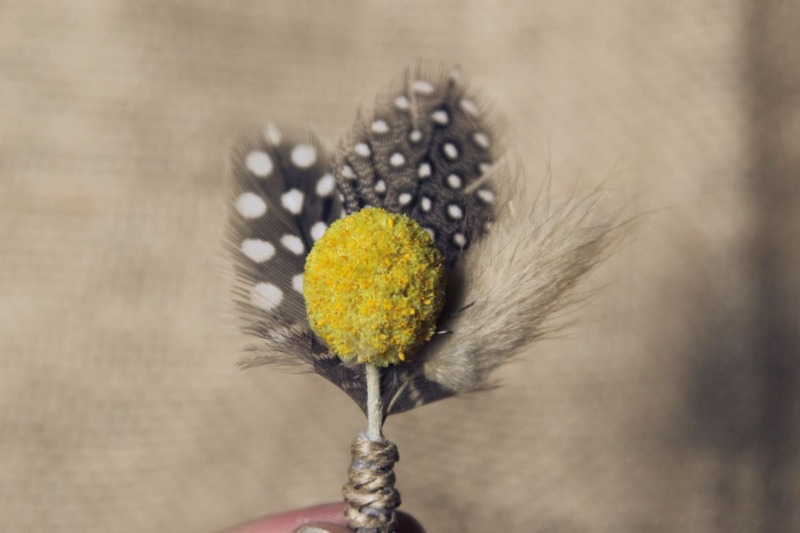 In that case, why not try something like this dried flower and feather bundle instead! 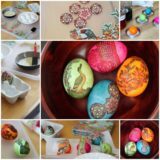 We love the customization possibilities of choosing your own dried blossom and your own kind, colour, and pattern of feather. 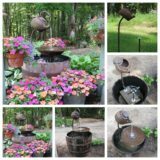 See how this one was made on Woodland Dreams. 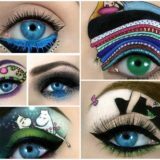 Are you getting married at a stunning, sprawling vineyard and you’ve been looking for subtle ways to incorporate that whole concept into just about every aspect of the dress code and décor scheme you can? 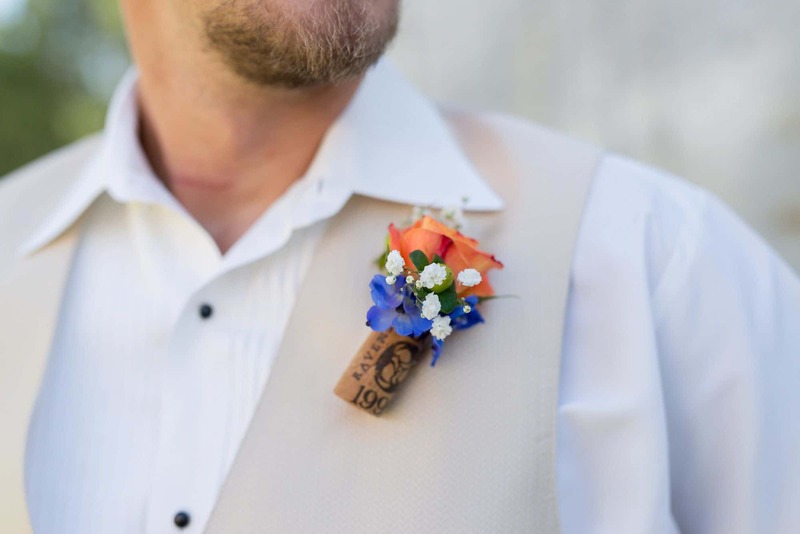 In that case, we have a feeling you’ll appreciate the way The Knot replaced the standard stem wrapping technique by anchoring the ends of their flowers in a wine bottle cork instead! 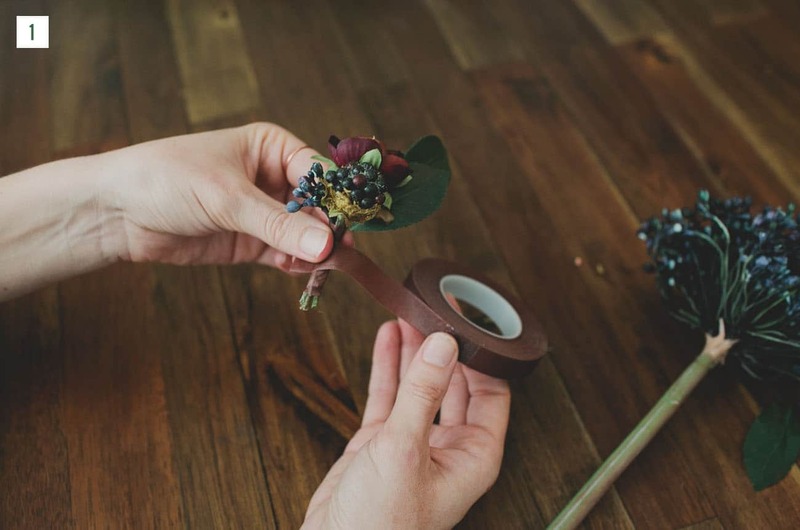 Is you or your date actually very allergic to flowers so you’ve been looking for suitable alternatives, but you’re also into the idea of simplicity and neutral colours? 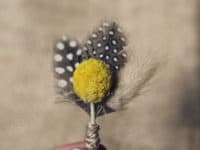 Then perhaps this faux dandelion puff made by Gusto and Grace is a better idea for you! 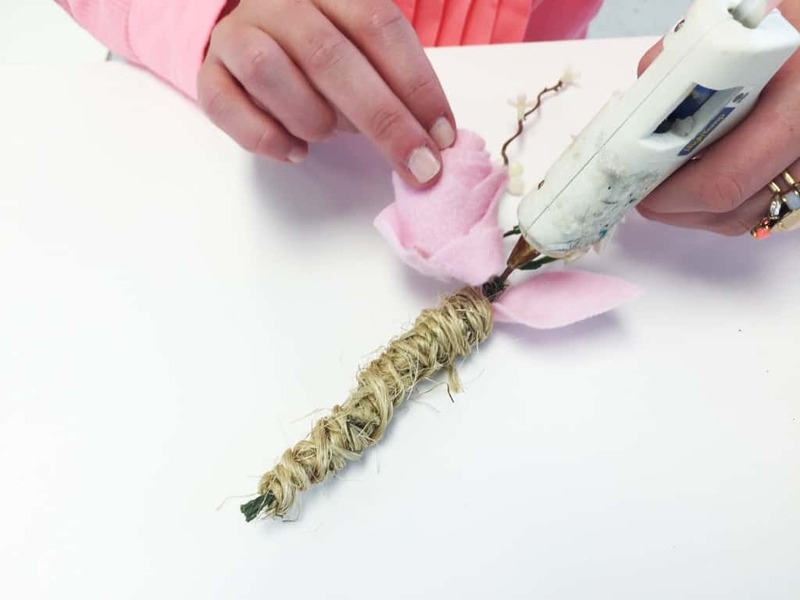 Their tutorial shows you how to make it happen with a twig, some cotton, and a little gold ribbon tied in a bow and trimmed. 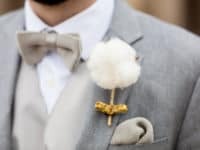 Do you have to make many boutonnieres at once so you need a fairly simple design, but you’re kind of into the idea of making them so that guests at the event can clearly see they were hand crafted with are? 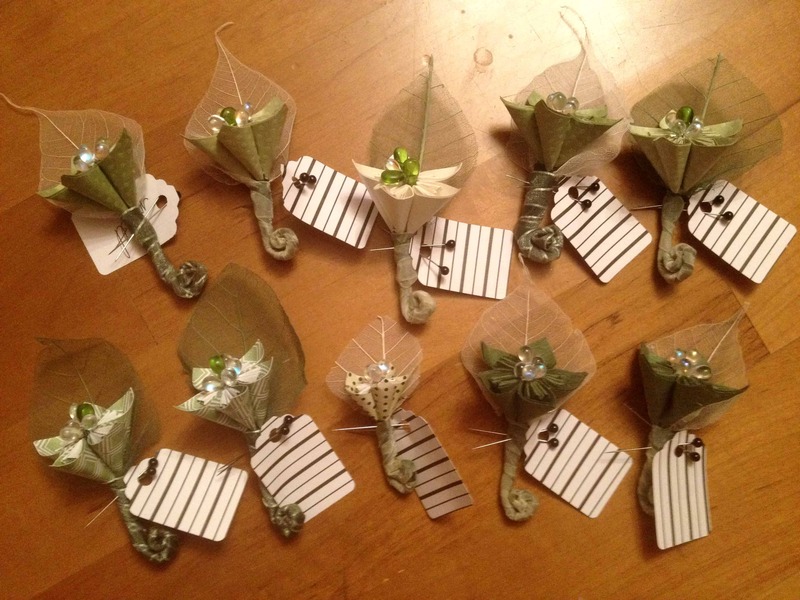 Then perhaps origami flowers are your best option! We love the idea of making each folded blossom a different colour or pattern and pairing them with delicate looking mesh leaves. 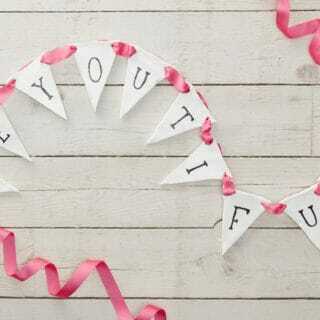 Find out how these ones were made in more detail on Crafty Wedding.